Turtleneck dresses, scoopneck tops, duster cardigans, velvet bodysuits, lovely leggings, and SO MUCH MORE. 1. A turtleneck top that I sincerely feel bad for because I know that you will wear it every single day. The poor thing will never get a break or some well-earned PTO. 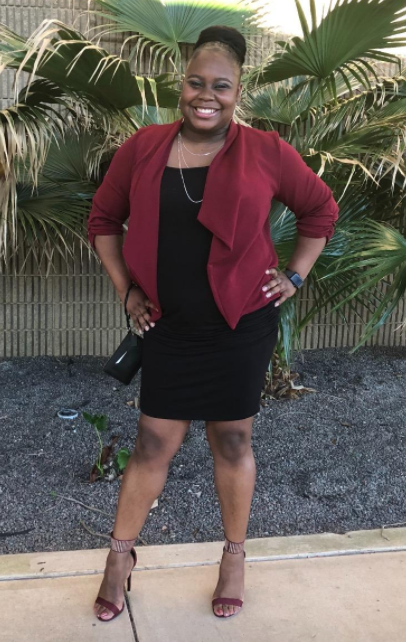 Get it from Asos for $19 (available in sizes 12-26). 2. Scoop neck t-shirts made from a super soft material (100% supima cotton) that will stay soft — even after being thrown in the wash 907 times. Get them from Amazon for $20 for a pack of two (available in sizes XS-XXL and in 16 colors). 3. A vintage-inspired tea dress complete with a belt to cinch at your waist. HELLO, HOURGLASS FIGURE! Lookin' great, as per usual! Psst, this is available in SO MANY COLORS, you won't be able to pick just one. Get it from Amazon for $19.99+ (available in sizes XS-4X and in 41 colors). 4. 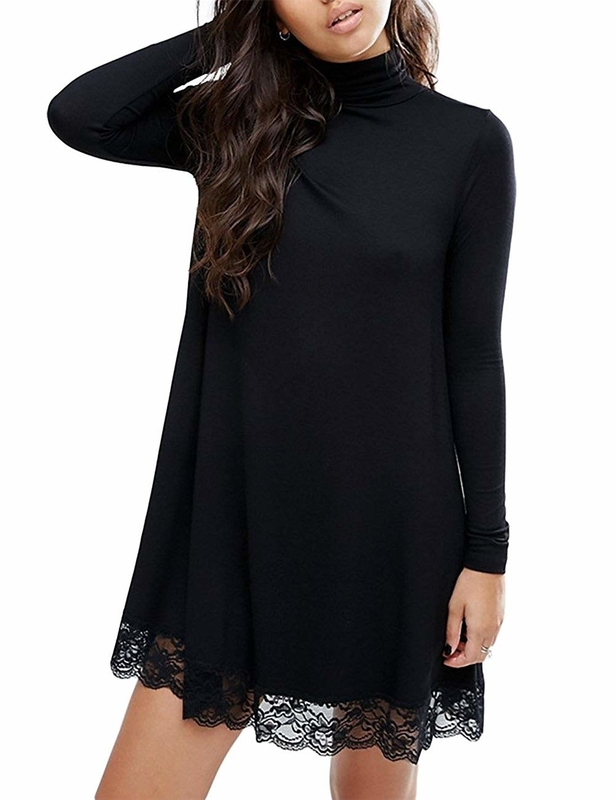 A turtleneck dress with lace detailing you'll want to pair with some denim and riding boots. 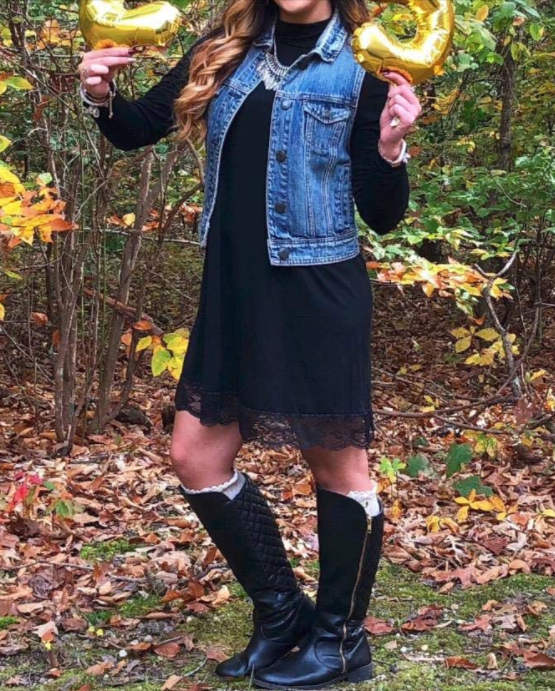 All of that = the perfect outfit. Get it from Amazon for $17.90+ (available in sizes S-XL and in four colors). 5. High-waisted leggings that are comparable to products from pricier brands, but are significantly more affordable. Praise be. Get them from Amazon for $15.98+ (available in sizes XS-XXL and in 44 colors). 6. A cropped velvet top capable of looking slightly more dressy than your average white tee. Going out for dinner (for the 907th time this week, I might add)? Wear this! 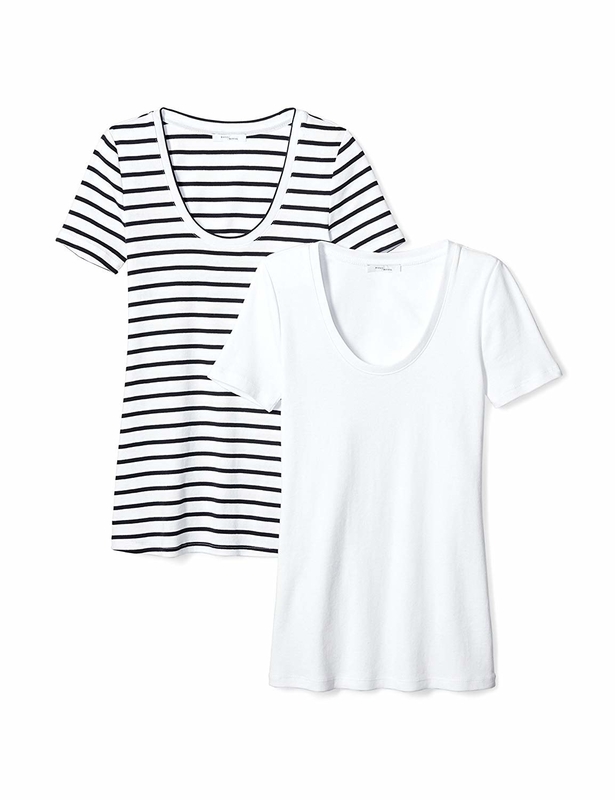 Get it from Abercrombie & Fitch for $16.66 (originally $34, available in sizes XXS-XL and in three colors). 7. 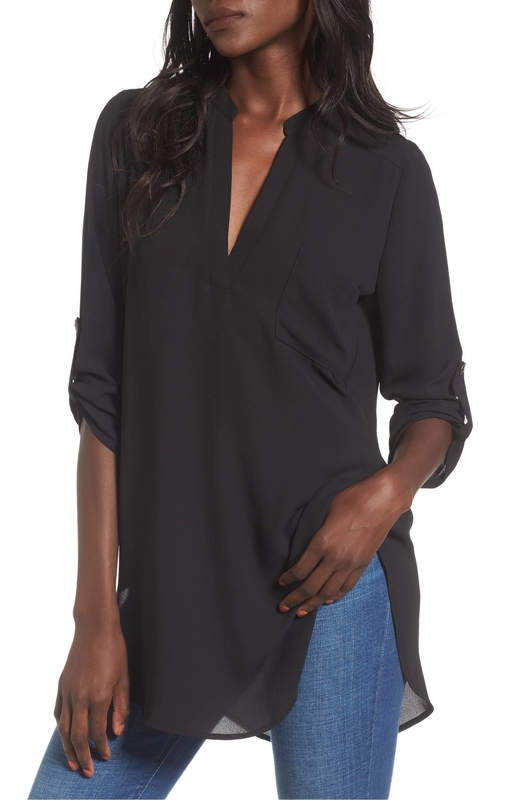 A split-neck tunic that can be worn underneath a blazer (super business meeting appropriate), and for happy hour drinks after walk? You can wear this on its lonesome. 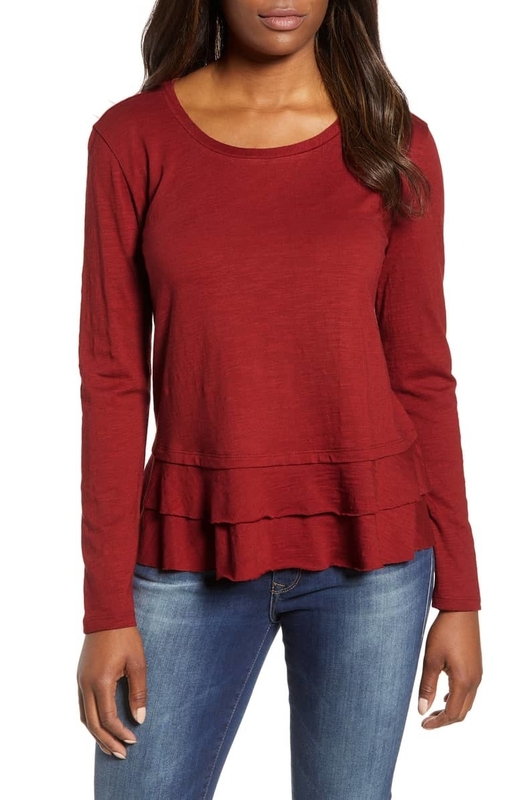 Get it from Nordstrom for $24.90 (originally $42, available in sizes XS-XXL and in 10 colors). 8. High-rise skinny jeans you shouldn't even fold and put away. Just leave them crumpled on the floor. You'll be wearing them again tomorrow, anyhow. Get them from Asos for $24 (available in sizes 14-24). 9. 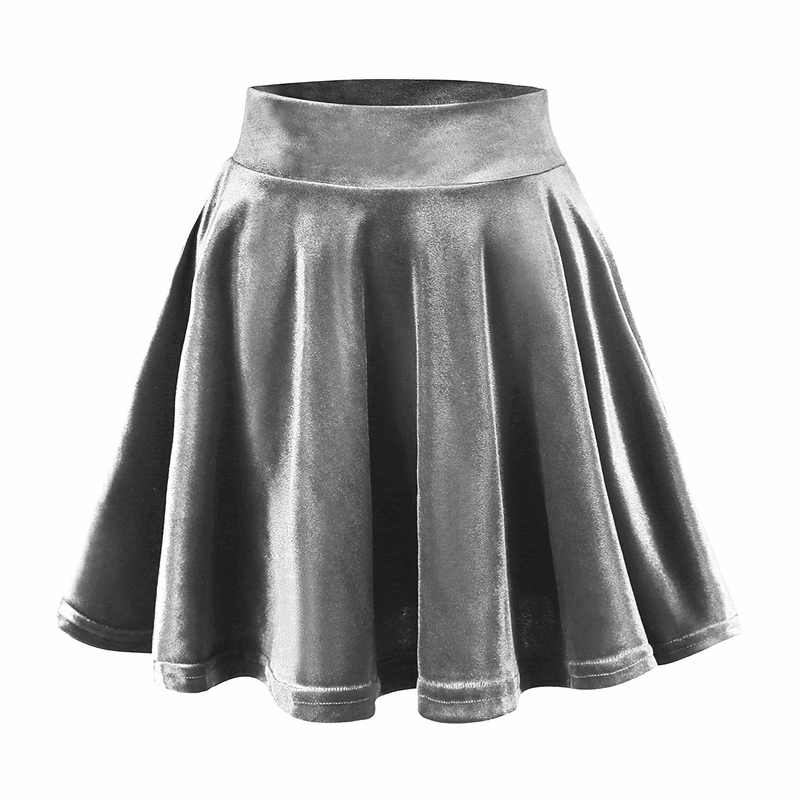 A corduroy mini skirt to fool the world into thinking that you're super stylish and trendy, even if you're... not. I hope I haven't offended you. Get it from Forever 21 for $17.90 (available in sizes 0X-3X and in two colors). 10. A cropped sweater with a gorgeous lace-up back. Will friends ask to borrow it? Yes. Should you let them? Nope. Tell 'em to get their own, dammit. Get it from Tobi for $24 (originally, $62, available in sizes S-L and in three colors). 11. An asymmetric duster cardigan that is the kind of article of clothing your sibling will likely want to steal — so just try to keep it safe! Get it from Amazon for $12.99+ (available in sizes XL-5X and in six colors). 12. High-waisted corduroy leggings perfect for running errands (the worst) or lounging around the house and doing absolutely nothing (the best). Psst, these babies aren't see-through at all! Get them from Aerie for $24.46 (originally $34.95, available in sizes XXS-XXL and in three colors). 13. 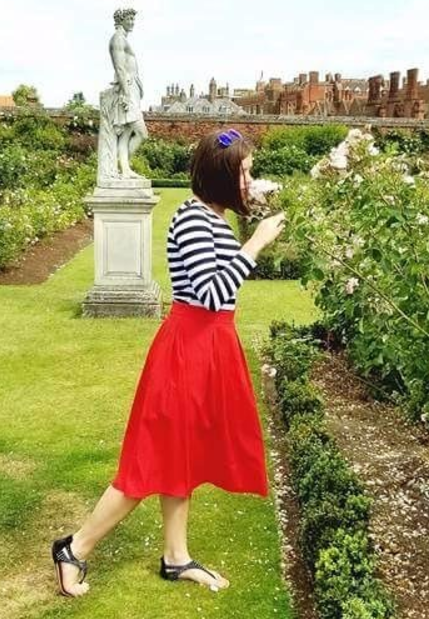 A high-waisted midi skirt designed for excessive twirling. Now get your phone out, pal, because it is time for a BOOMERANG. Get it from Amazon for $18.98+ (available in sizes S-XL and in 14 colors). 14. A lightweight racerback tank top made from a moisture-wicking fabric, AKA it won't make you feel even sweatier than you already are. Get them from Amazon for $10.99+ (available in sizes XS-XL and in 18 colors). 15. An off-the-shoulder velvet bodysuit you can pair with some high-waisted jeans, booties, and BAM! You are ready for a night out on the town. Get it from Boohoo for $18 (originally $36, available in sizes 2-10 and in three colors). 16. 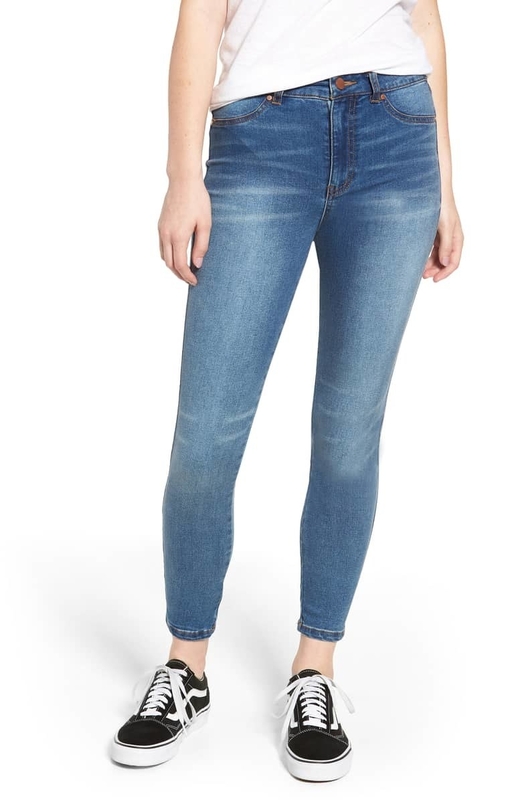 High-waisted skinny jeans that cut right at the ankle, meaning they won't bunch up and look awkward around your low-top sneakers. 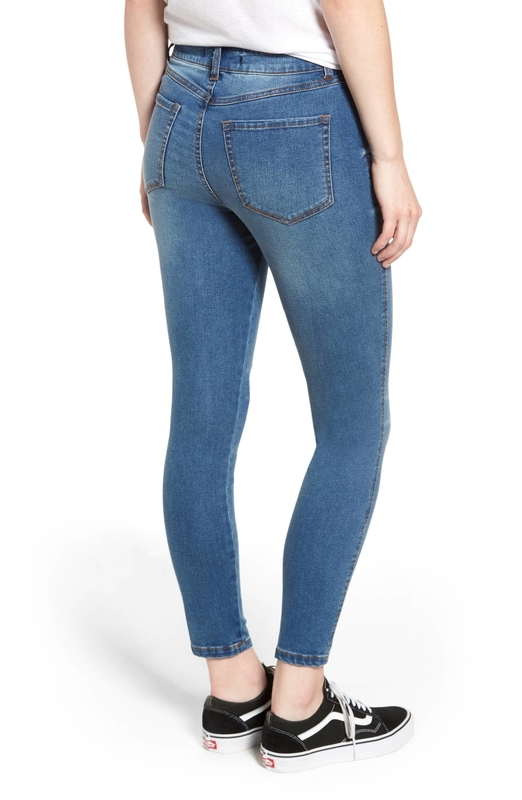 Get them from Nordstrom for $23.40 (originally $39, available in sizes 24-33). 17. A ruffle top perfect for the office. This pretty little ruffled thing will make your boring cubicle seem like style heaven. 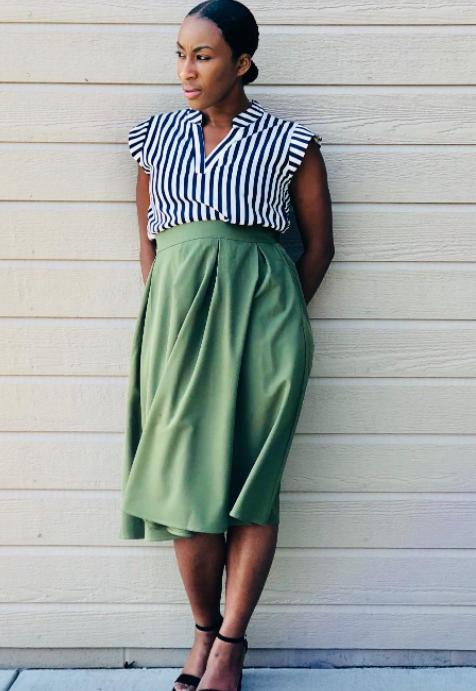 Get it from ModCloth for $19.99 (originally $39, available in sizes 1X-4X and in two colors). 18. A crewneck dress with pockets (!!!!) that will basically feel like an extension of your coziest, most beloved sweatshirt. Just pair this with some over-the-knee boots to become the epitome of ~fashun~. Get it from Amazon for $12.99+ (available in sizes S-XXL and in 40 colors). 19. A lightweight cropped sweater in a gorgeous baby blue color, because you know what? I'm ready to add some variety to all the boring neutral colors in my wardrobe. 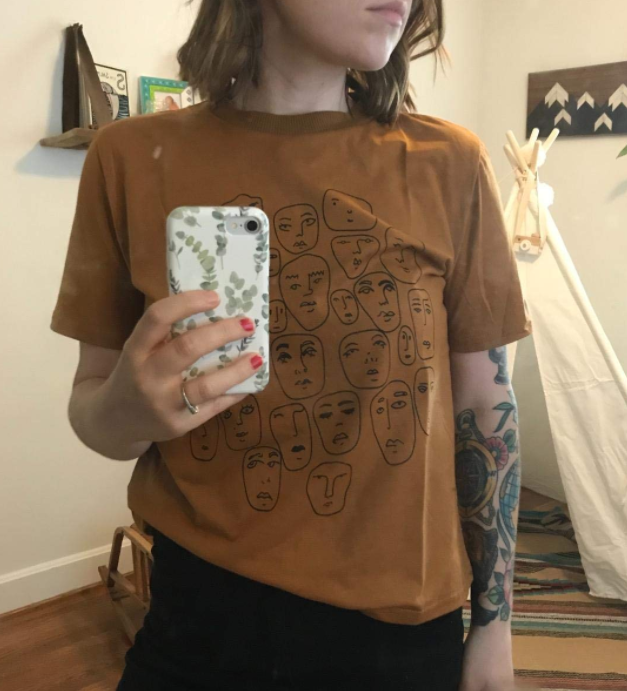 Get it from Asos for $17 (available in sizes S-L). 20. 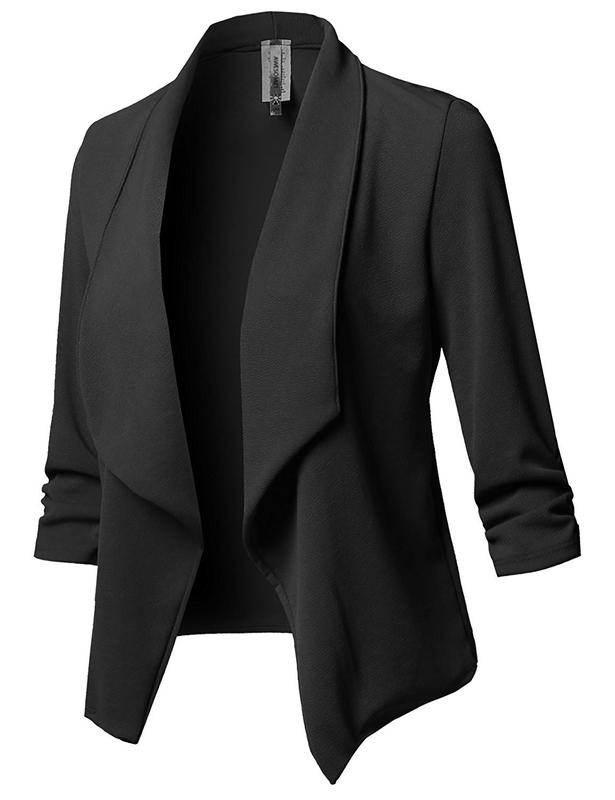 An open blazer to add some polish to your look. Have a stressful business meeting tomorrow AM? Consider yourself P-R-E-P-A-R-E-D.
Get it from Amazon for $17.64+ (available in sizes S-XXXL and in 40 colors). Get it from Boohoo for $20 (originally $40, available in sizes S-L). 22. A long-sleeved t-shirt with the word "basic" written all over it. In National Treasure-approved invisible ink, of course. 23. 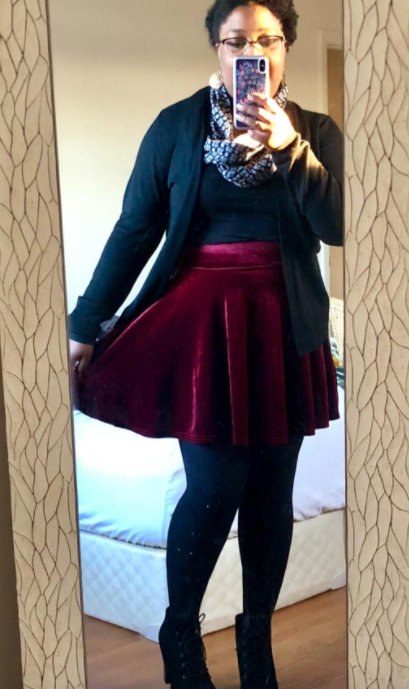 A flared velvet skater skirt trying to officially change its name. To what, you ask? "Sk8er" skirt. YES, it is 2018. And YES, I'm still making Avril Lavigne references. They're good for the soul! Get it from Amazon for $8.50+ (available in sizes S-XL and in 20 colors). 24. 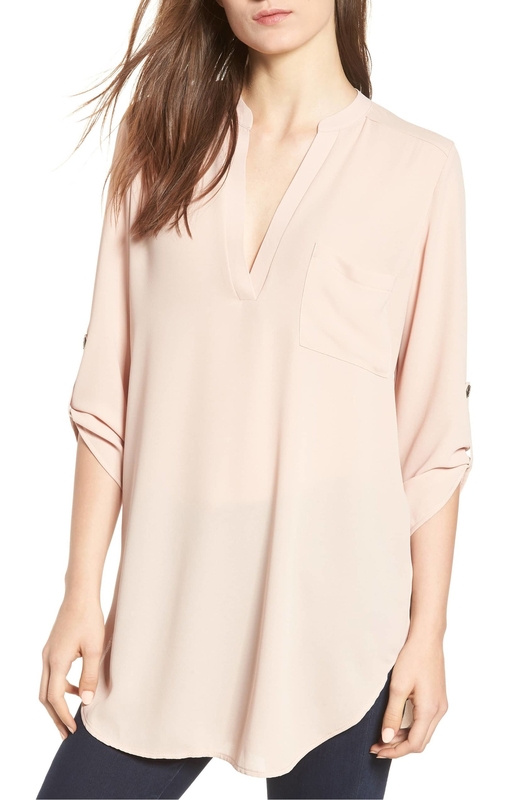 A lightweight v-neck tunic made from a super soft jersey material. This top = the definition of cozy, folks. 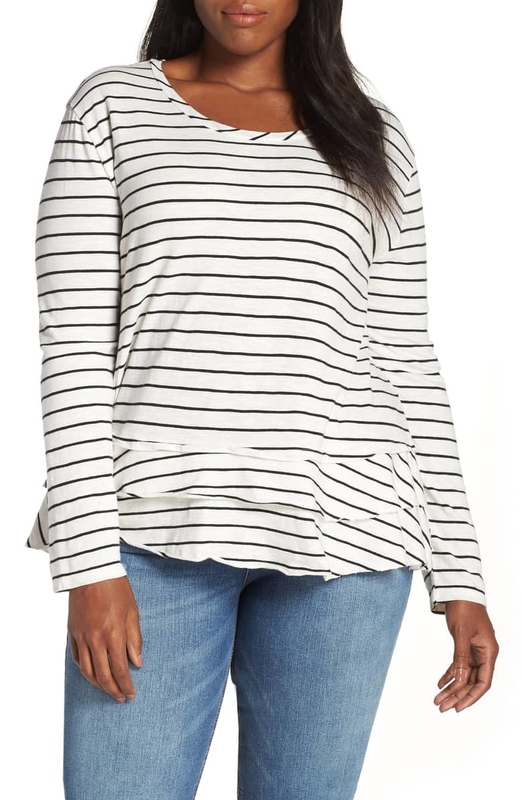 Get it from Nordstrom for $18.90+ (available in sizes 1X-4X and in two colors). 25. Drawstring joggers featuring striped sides to make your ~lewk~ seem fashion-forward, sure. But the REAL winner here? You'll also be feeling ridiculously comfy. Get them from Amazon for $17.89+ (available in sizes XS-XL and in eight colors). 26. 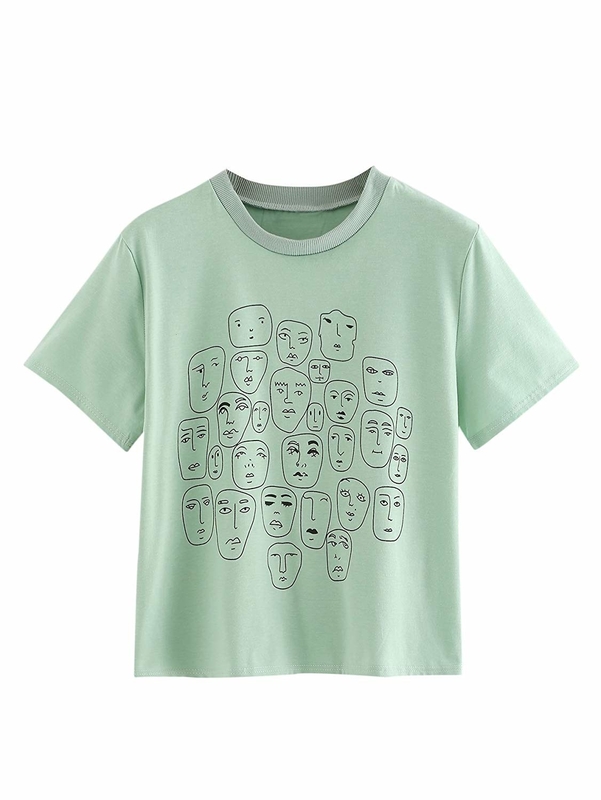 A cartoon graphic tee all of your friends will be asking to borrow. For your own good, please do not let them — we both know that you will never get it back. Get it from Amazon for $8.99+ (available in sizes S-XXL and in seven colors). 27. A midi skater dress that can be worn to that wedding you have to go to. Just add some heels, a clutch, some statement earrings, and you're done! Get it from Boohoo for $22 (originally $44, available in sizes 2-12 and in nine colors). 28. A plaid poncho because why not feel like you're wearing a blanket all day long? Get it from Tobi for $24 (originally $48, available in two color and one size fits most). 29. A tiered tee so perfect for everyday wear, you might just shed a tier. "Welcome to the family," I say with watery eyes and a splotchy face. 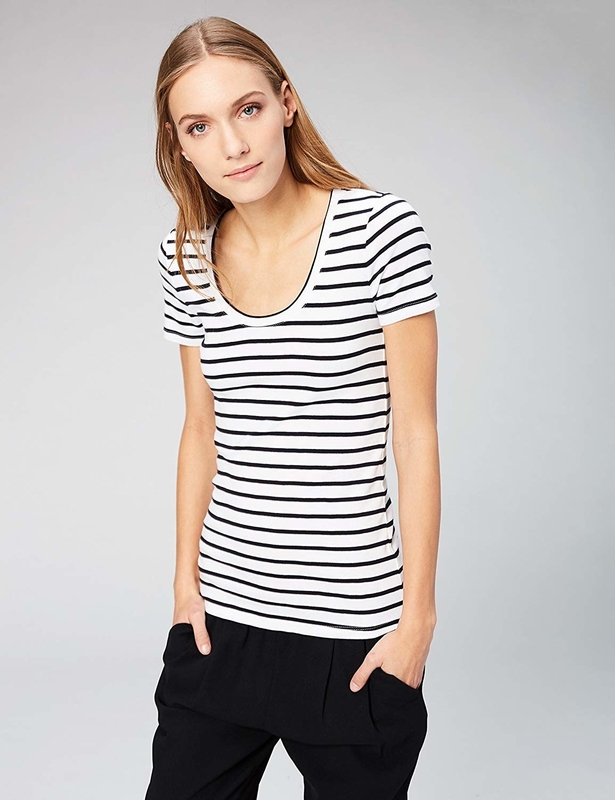 Get it from Nordstrom for $23.40 (originally $39, available in sizes XS-XXL and in petite sizes and four colors). 30. High-rise leggings designed with mock buttons AKA they'll look a lot sophisticated than they actually are. Leggings? To a fancy dinner? Sign me the HECK up. Get it from Forever 21 for $22.90 (available in sizes 0X-3X and in two colors). 31. A high-waisted maxi skirt you'll want wear to karaoke. Song of choice? "Hand In My Pocket" by Alanis Morissette. Get it from Amazon for $24.99+ (available in sizes S-XXL and in 27 colors). Want more clothing that won't break the bank? Here are some of the best inexpensive online clothing stores to bookmark right now.